The Four Seasons was built in 2001 with 142 residences at 765 Market St. @ 3rd St. in the Yerba Buena neighborhood of San Francisco. 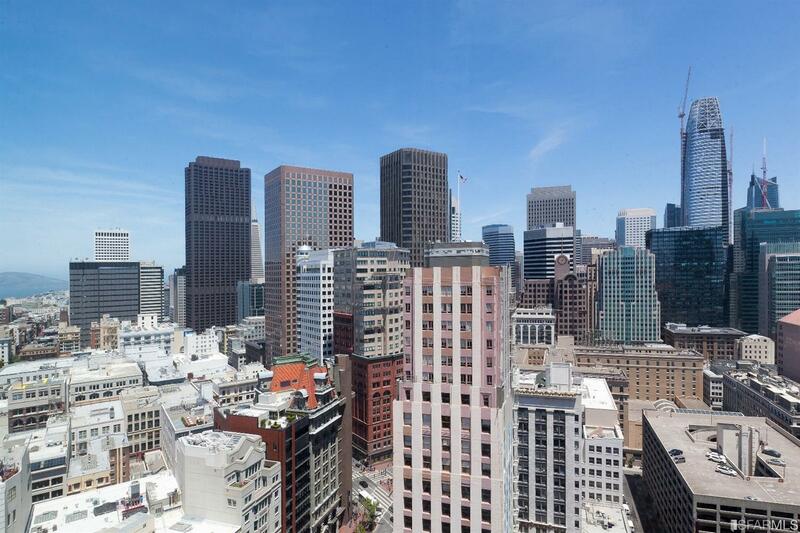 The development has been a great success, and it was the success of the Four Seasons Residences that paved the way for future projects like The St. Regis and the Millennium Tower. Home sizes at the Four Seasons include one to five-bedroom homes. Primarily, the residences are one-bedroom and two-bedroom homes. Building amenities include 24-hour security and concierge services as well as access to the Four Seasons Hotel amenities. Dine in at the Seasons Restaurant or in the private Windows dining room. Room service, laundry, and housekeeping services are available to residents. Direct access to the Sports Club/LA offers state of the art workout equipment and an Olympic size swimming pool. This rarely available Northeast corner property has the most desirable floor plan with many lighting, audio and designer upgrades. 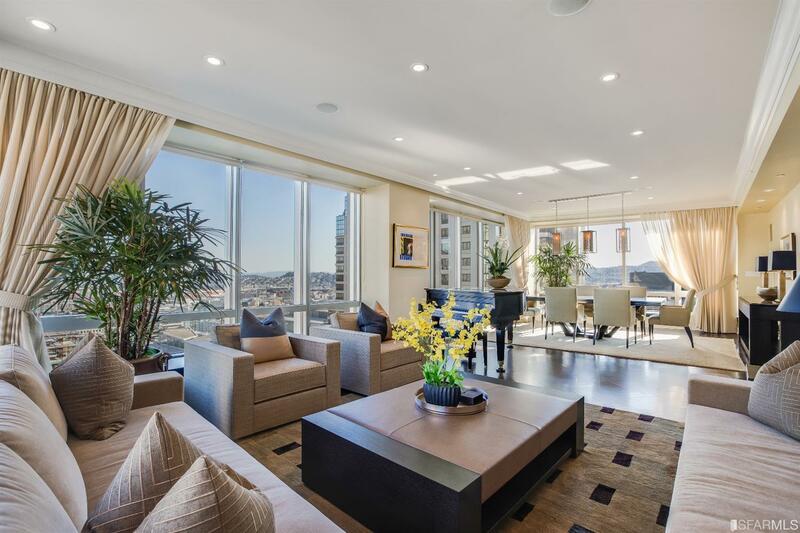 The Four Seasons was the first building to bring unparalleled luxury and exceptional amenities to the South of Market/Yerba Buena neighborhood, and the homes continue to be an incredibly popular choice with discerning buyers. 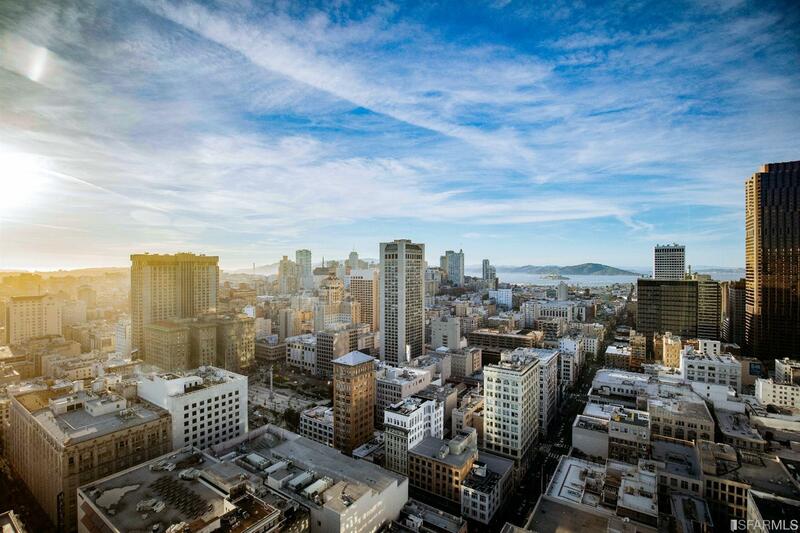 Depending on the home’s location in the building, some homes offer incredible downtown and bay views while homes on the south side of the building offer wonderful San Francisco Bay vistas. The Residences at the Four Seasons Condos are in the heart of the bustling Market St. corridor, with the shops and boutiques of Union Square just a short walk north, while an incredible number of world-class restaurants are just a short walk away, not to mention the Theatre district and so many other world-class cultural institutions and museums. 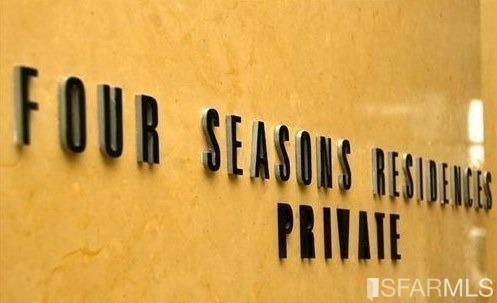 24-hour security and concierge services as well as access to the Four Seasons Hotel amenities. Dine in from the Seasons Restaurant or in the private Windows dining room. Room service, laundry, and housekeeping services are available to residents. Direct access to the Sports Club/LA offers state of the art workout equipment and an Olympic size swimming pool.